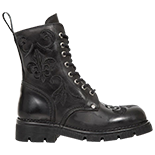 This stunning range of gothic New Rock boots and shoes really does offer the finest that this company has produced, including the best boots, shoes and gothic footwear that money can buy. 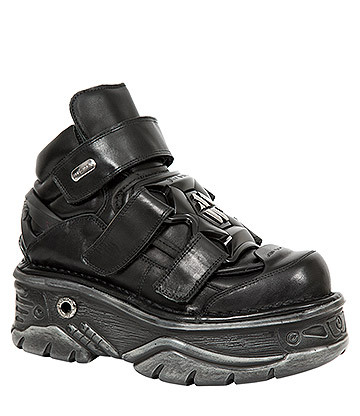 Featuring renowned features such as buckles, belts, chains and metal studs, they are the perfect stand out footwear for those who want something different. 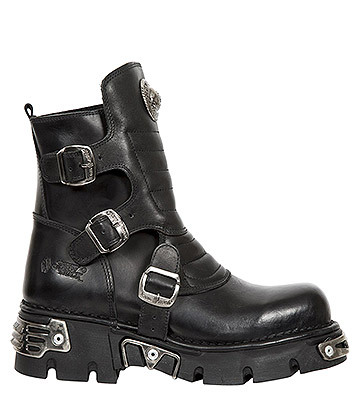 You won’t find anything better than these cheap New Rock boots for men and women if you are looking for stomping great footwear made from the finest materials available. Durable and hardwearing, they are in contrast to the majority of footwear found on the market today, ensuring they will last as a unique style icon for years to come. 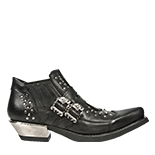 Great for Steampunk and Gothic styles in particular, these long-lasting shoes are amongst the most famous footwear in the world, and for good reason. As a brand, New Rock boots have very clear intentions – to produce the best footwear possible with designs that have never been seen before. Founded in Spain in 1978, the New Rock UK scene has since expanded to previously unseen heights, with their unique manufacturing methods and futuristic designs creating a worldwide fan base. 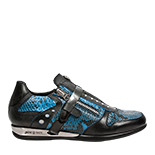 Many New Rock shoes in our official range are custom-made, meaning they come to you direct from the manufacturer. Unrelenting in their pursuit of excellence, New Rock boots for men and women alike are with us for the long-term and you will always find them at Blue Banana. Not only do we provide you with the coolest styles when it comes to proper gothic footwear, we’re proud to bring you big discounts in our sale and offer some of the cheapest New Rock styles you’ll be able to find in the UK – perfect! What’s more, we’re always adding the latest designs to our range as soon as we get them in, meaning you’ll always be ahead of the trend. Whether you’re a die-hard fan or a new convert, make sure you check out our New Rock boots and shoes range. Thanks to our brilliant delivery network we can offer free delivery on all these awesome styles, as well as low prices across the board – so what have you got to lose? Shop today, or take a look at some of our other big boots brand names such as Dr Martens.